Inquisitive tree-creeping bird found especially in mature pine forests of the Southeast – one of the only birds found exclusively in the US. 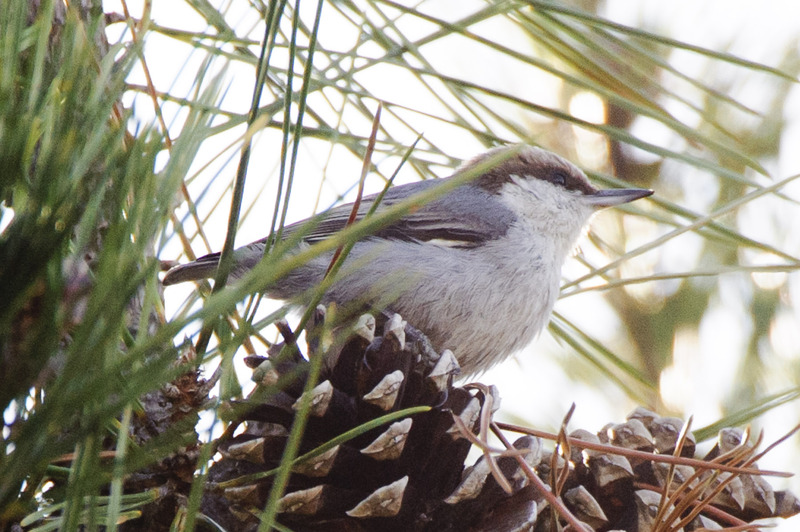 Small with a gray back, brown head, white face and underparts, and a chisel-shaped bill, used for probing bark for insects and pine seeds. One of the few tool-using birds…will use pieces of bark as levers to pry up other bark. Cavity nesting, with additional young male birds often assisting with raising the young. Often in mixed feeding flocks. Lifespan up to 9 years. Population ~ 1.5 million and stable.